TSD Tungsten Tear Drop Shot Weights are designed to sink straight down to eliminate twisting and tumbling. The extremely dense tungsten material makes the TSD Tungsten Tear Drop Shot Weights extremely sensitive, transmitting every motion the weight encounters. A professional designed swivel is used to prevent unwanted line twist. 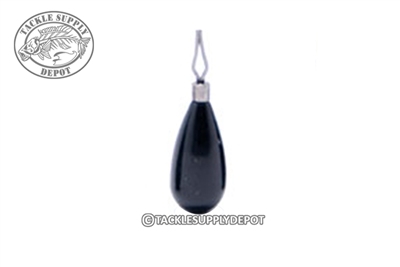 The TSD Tungsten Tear Drop Shot weights are an excellent for casting and for sandy to rocky bottoms. These weights are super sensitive and you feel everything. I will be buying lots more!!! !